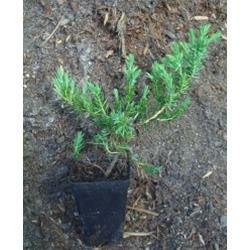 The Blue Pacific Juniper, or Shore Juniper, is a groundcover useful on tough-to-maintain slopes on your landscape. Similar to the Blue Rug Juniper, this plant works well on slopes too difficult to continually maintain with a lawnmower. Also, the Blue Pacific Juniper’s attractiveness allows it to function well in planter’s boxes or hanging over a retainer wall. It’s hardy in zones 6-9 and reaches a mature width of 6 to 8 feet. The growth rate for the Blue Pacific Juniper is medium, and its versatility allows it to adapt to a full range of conditions. It thrives best in full sun, although those planted in partial shade are still sure to please. One of the hardiest varieties of the Shore Juniper, this is native to Japan and yields a blue-green, needle-like foliage, which maintains year round. And while it produces the needle-like foliage, the Blue Pacific Juniper has a soft feel unique for needle-bearing plants. Berry-like cones are common to appear in the fall. This selection grows best in full sun and dry soil, and, most importantly, it will not thrive in swampy, moist conditions.